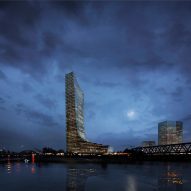 David Chipperfield Architects is set to build a 230-metre-high skyscraper on the River Elbe in Hamburg, expected to become the city's tallest building. 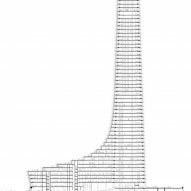 Named Elbtower, the competition-winning design is for a tapered skyscraper that will act as a counterpoint to Herzog and de Meuron's nearby Elbphilharmonie concert hall. 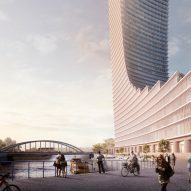 The tower is designed by David Chipperfield's Berlin office for developer SIGNA Prime Selection, to act as an entrance marker for the eastern edge of the city's emerging Hafencity district. 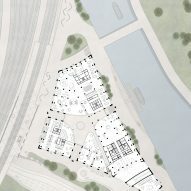 It will largely contain office space, but will rise up from a triangular podium house more public functions, including a bar, hotel, restaurant, shops and exhibition areas. Chipperfield said he was "happy to be invited to work in Hamburg again", following the completion of his Empire Riverside Hotel in 2007. "As architects we are increasingly aware that the city depends on the quality of projects from the private sector to create a strong civic dimension that engages with the complexities of the city. We look forward to positively embracing this responsibility with the Elbtower project," he said. 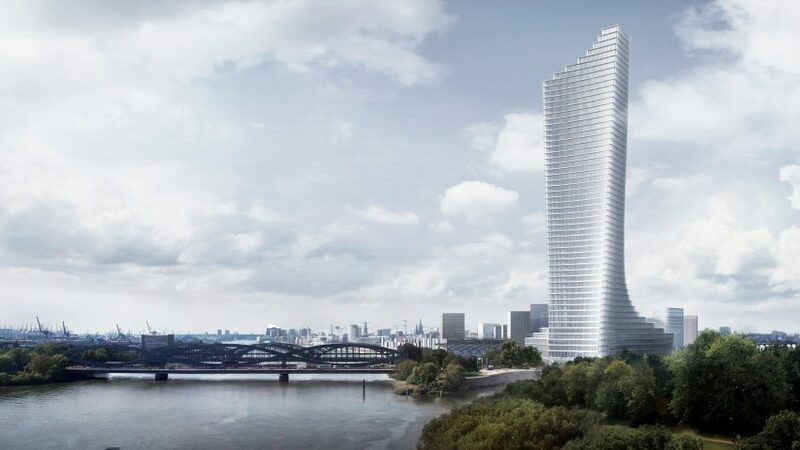 The tower will contain 104,000 square metres of floor space and boast a facade clad with light-coloured aluminium, which will act as solar protection while also creating a moiré effect. During the day the curtain wall will create interesting shadows and reflections, while at night a lighting concept designed by Studio Other Spaces will transform the skyscraper into a "kinetic light sculpture". 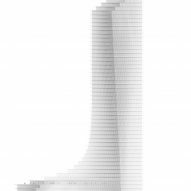 The tower will be the latest in a succession of projects completed by David Chipperfield Architects in Germany, including the Neues Museum in Berlin, an extension to the Museum Folkwang in Essen, and the Museum of Modern Literature in Marbach am Neckar. "Sixteen years ago, we also won an international competition for our first tower in Hamburg, the Empire Riverside Hotel and the building is celebrating its 10th anniversary next week", said Christoph Felger, partner and design director of David Chipperfield Architects Berlin. 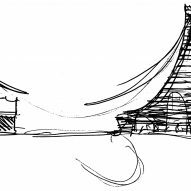 "We feel honoured to build on this success and to have the opportunity to design a further landmark for the city of Hamburg and hope that, similar to the hotel, it will become a prominent public location for Hamburg," continued Felger. Construction is scheduled to begin in 2021, with completion set for 2025.